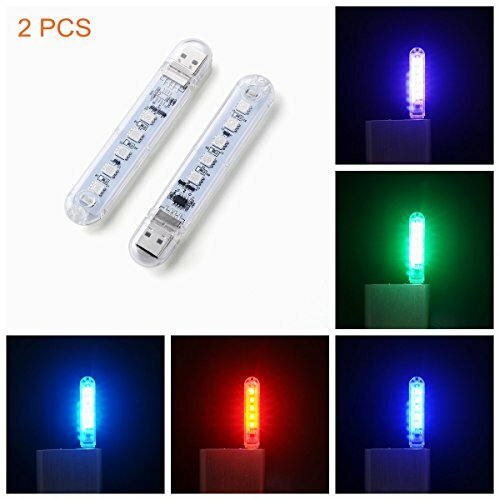 Smart mini portable USB LED lamps for computer keyboard, camping, traveling, bedrooms nightstand, kids night light, emergency lighting, gifts etc. 12 MONTHS for quality warranty. Please contact us immediately if you find any quality problems. THANK YOU. Handy usage: convenient lamp for office work computer, outdoor camping, kids bedside light, emergency lighting. If you have any questions about this product by Ebyphan, contact us by completing and submitting the form below. If you are looking for a specif part number, please include it with your message.